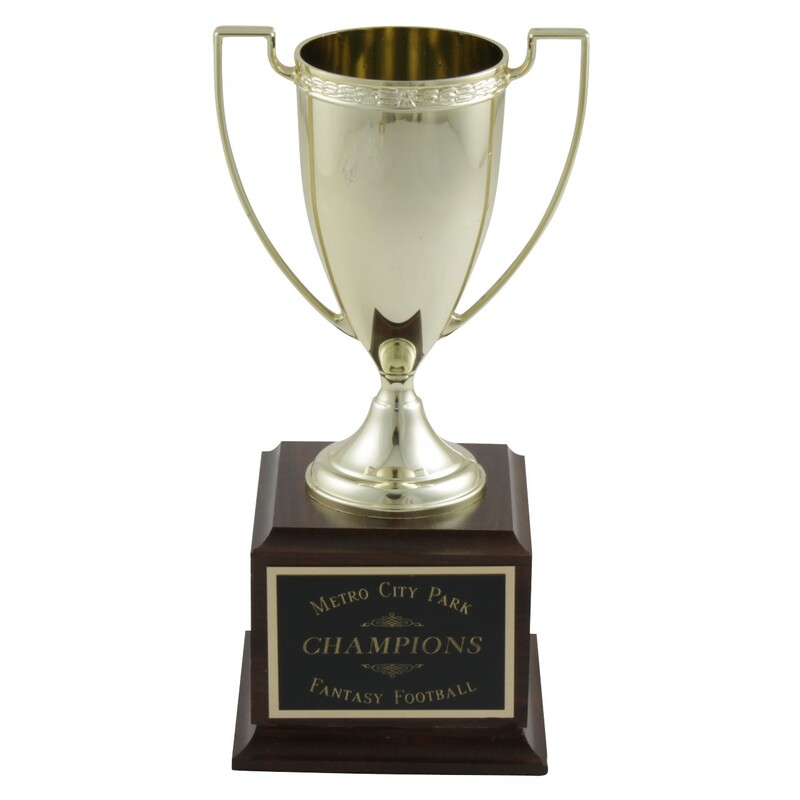 This Perpetual Fantasy Gold Loving Cup Trophy is the perfect award for your championship fantasy season. A classic chalice cup trophy is attached to a simulated wood walnut base. Engrave the name of your team on the front of the wood base; add side plates to memorialize your yearly winner. ***Note: To add winner's names onto the side of this classic trophy, choose the "3 Side Plates" option below and then add product #7170 Fantasy Perpetual Engraving to your cart. Large: 10.5", X large: 12.75", XXL 15.5"
Large: 2.25"x3.5", XL: 2.5"x4", XXL:3.5x5.75"
These side plates are blank. Search #7170 to add engraving to the side plates.